A disciple's study | This is my personal collection of thoughts and writings, mainly from much smarter people than I, which challenge me in my discipleship walk. Don't rush by these thoughts, but ponder them. 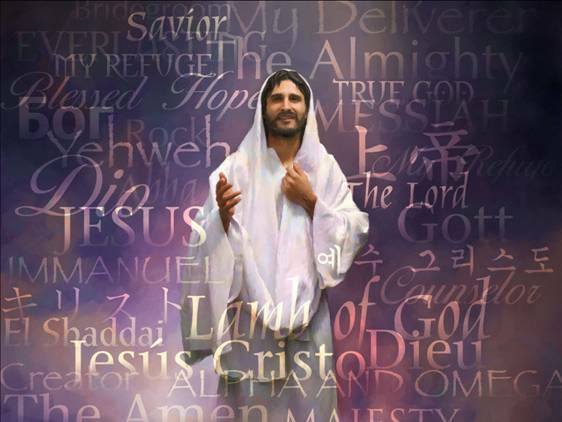 Today the name of Jesus is controversial. People don’t like hearing anyone invoke Jesus’ name. I’ve personally been advised not to pray in Jesus name in some settings. Former Florida football star, Tim Tebow, was severely criticized for invoking the name of Jesus as his Lord and Savior. Ironically Chaplains in some states have been ordered not to speak of Jesus or pray in His name during their counseling periods. Satan is crafty and sin is deceptive. The book of Proverbs teaches that “there is a way that seems right to man, but its end is the way to death” (14:12, 16:25). Like putting makeup on a pig, sin disguises itself so we don’t see its true nature. It slowly lures us to its desired end while making sure the dark path looks clean and pretty. As far as we can tell, everything looks right so we continue moving forward not realizing the trap is laid and we will soon be caught. The blinding nature of sin is one of the many reasons God has given us the local church. As we do life together, we have an obligation to look out for our brothers and sisters in the Lord. Someone may not be able to see the trap ahead, but it’s clear to those around them. Do we love them enough to warn them? We continue look at marks of a healthy church that are seldom emphasized today. Using 9 Marks of a Healthy Church as our guide, we’ve examined expository preaching, biblical theology, the gospel, a Biblical understanding of conversion, evangelism, and the value of church membership. Today, we’ll look at the next mark: biblical church discipline. “There is a story of a 33-year-old truck driver by the name of Larry Walters who was sitting in his lawn chair in his backyard one day wishing he could fly. For as long as he could remember he had wanted to fly but he had never had the time, money, or the opportunity to be a pilot. Hang gliding was out because there was no good place for gliding near his home. So he spent a lot of summer afternoons sitting in his backyard in his ordinary old aluminum chair—the kind with the webbing and the rivets, the kind most of us have. Oops! Surprise! Surprise! Admittedly, Larry had no idea what he was getting himself into. Sure, he would have been wise to get some practical advice from the folk who use weather balloons. Crazy? Yes, but at least he had the courage to give what he wanted to do a try. I’m not suggesting that we do anything crazy, but at least let’s do something worthwhile with our lives. God’s instruction to each of us is to give/do/work “each according to his/her ability.” In other words, whatever abilities we have we need to put them to the best possible use doing God’s work here on earth. The way we do this is by helping others according to their need—according to our ability to help. 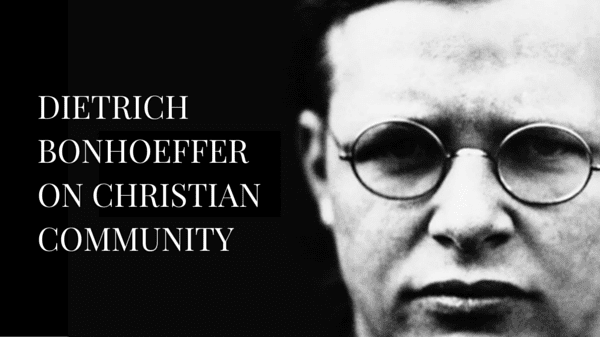 As we remember the life of Detrich Bonhoeffer and his contribution to the church, here are 10 things he taught us about community in Life Together.